Cloud 9, like life, is all about variety. They offer a variety of tightly-crafted flavors ranging from extremely subtle and refined aromatics to bold, palate-pleasing desserts and popping fruit blends. Cloud 9 prides itself on providing quality, American made products in the great Pacific Northwest. Through research, development, rigorous testing, and innovation they are dedicated to providing the finest gourmet e-liquid made with the highest standards and quality. Cloud 9 uses only high quality ingredients because they make the safety of their customers their single most important priority. 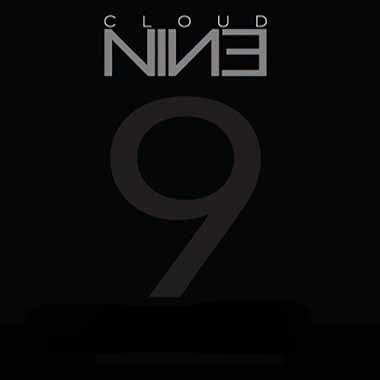 Cloud Nine has been a front-runner in the vaping scene for quite some time now. With over 20 different flavors, 17 of which we have in our collection here at Crescent City Vape in New Orleans; this brand is sure to have something great for everyone! Cloud 9 Legends are available in 30mL bottles at 80/20 VG/PG at 0, 3, 6, and 12 mg/mL of nicotine per milliliter. Cloud 9 Supernova is available in 30mL bottles Max VG at 0, 3 or 6 mg/mL of nicotine per milliliter. Blackbeard’s Booty. Blackbeard didn’t sail the world for nothing: he sought the greatest treasure the world has to offer. If only he’d survived to this day, he’d have found it. Juicy pear mingles underneath a creamy coconut and provides a mellow, perfect subtle vape. Kong’s Addiction. Bananas and cream blended with vanilla wafers. Need I say more? Okay, I will: this is the ultimate banana cream flavor. Medusa’s Milk. A vanilla custard flavor so good it’ll almost turn you to stone. Smooth, flavorful vanilla on the inhale blends with a sweet cream exhale. Simple, perfect. Pegasus Wings. Orange and vanilla creamsicle blend in a flavor combination as successful as time is old. The Classic Line features e-juice blends that we have on sale for $12.99 as well as mix and matching two blends for $24.99. 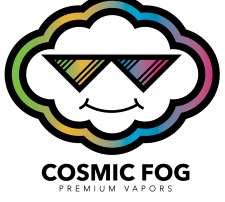 In our collection we have Pink Lemonade, Hypnotic, Oregon Blackberry, Nimbus, Oregon Strawberry, Peach Punch, Blood Orange, RY4, Granny Smith, Spearmint, Fire ‘N Ice, and Blueberry Smurf. Pink Lemonade – a classic and refreshing sweet lemonade blend. Hypnotic – a cool melon and berry blend with a little bit of menthol. Oregon Blackberry – a sweet but not too overpowering blackberry blend that is very refreshing and pleasantly subtle. Nimbus – a combination of grape and watermelon mixed with other fruits to create a well balanced e-juice blend. Oregon Strawberry – a blend of freshly picked strawberries mixed to create the perfect vape. Peach Punch – a sweet peach mixed into a berry blend to create a sweet punch. Blood Orange – a tart blood orange with just a bit of sugar to balance the flavor. RY4 – a specialty premium tobacco mixed with only the best strains of tobacco to create this unique flavor. Granny Smith – a sweet and refreshing green apple. Spearmint – a sweet mint. Fire ‘N Ice – a cool menthol flavor. 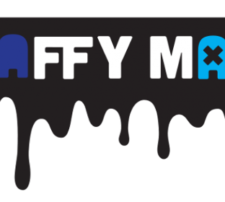 Blueberry Smurf – a tasty blueberry muffin with extra blueberries for sweetness.